On Monday morning we all woke to begin our day in the wake of another expression of evil that has impinged itself on our world. The news of people senselessly killed and wounded while enjoying a music event; people faces, some of which we may have known, scrolled across our television or computer screens. Shock was most likely the first thing that we felt…followed by who knows what…every feeling justifiable when trying to comprehend the images and audio of suffering and dying. We can’t make sense of this type of tragedy because we were created for a better world, a non-broken, non-dying, no tragedy-filled world. Events as such hit us with such emotional and spiritual force because Our Creator envisioned a life lived in harmony, relational peace and security in the goodness and grace of His very nature. Tragedy has happened though…in fact, tragedy happens. It happens again and again because there is evil in the world. 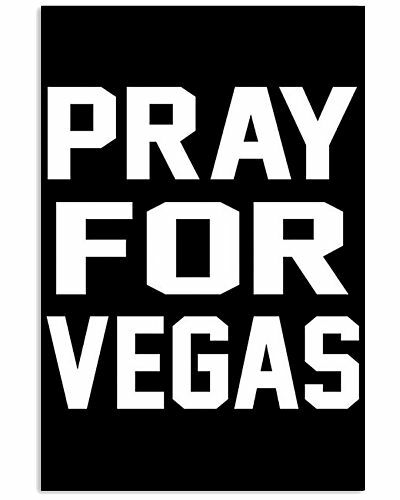 In a culture that wants to deny that evil exists, Las Vegas screams, “yes there is evil!” Our culture says that niceness will come your way if you are nice to others, that altruism will solve all our problems, or that new laws or a “fair system” will usher us into a utopian society where these types of events no longer exist…they are wrong. We have witnessed time and again that we cannot control evil. Evil cannot be contained or wiped out with money, laws or sheer will. It exists and dealing with it only comes from the knowledge and dependence upon a God who is just as broken hearted as we are from this tragedy but who promises an end to suffering and pain and who redeems even the most distressed and alienated. Jesus took this type of pain on Himself and would not be ultimately contained, restricted, defeated or detracted by it. Jesus has love on His heart for all those impinged upon by evil and unexplained affliction. And He has an empty tomb to point to as His word to us who long for victory and extinguishing of evil’s destructive fire. We can also pray for a holy imagination and the courage to share that vision with those who long for something more in life than witnessing a mad-man shooting up a music concert. Jesus followers can live as if God’s future is now. The compassion and love of God’s Kingdom is revealed in and through the followers of Jesus. Explanations of why evil exists in a Las Vegas manner should be the furthest thing from our minds…redemptive, gracious, hope-filled action should be on all of our agendas. Remember, Jesus took on the worst of evil…He confronted it and had victory over it. Jesus didn’t approach evil passively and neither should we. When God confronts evil He now uses us…words of hope and visions of a new life lived in a personal embracing of hope. As we pray for Las Vegas, may the Lord bless us with courage, grace, and peace but may He also stir us into action…action that trusts in the ultimate victory of Jesus, our Lord!